Tackling the snow-clad slopes during a chilly winter season at a Western country might be a dream for some. Those who are fortunate enough to be able to train in skiing and snowboarding prior to their trip are able to better judge their skills on the snow. However, as there aren’t any snow zones in blazing hot Malaysia, not many have a chance to actually learn the bare basics prior to their grand European winter trip. This would result in lots of time spent learning at a beginner’s level prior to actually being able to tackle some minor slopes. That was until First Traxx Ski & Snowboard Centre officially opened in October 2017. 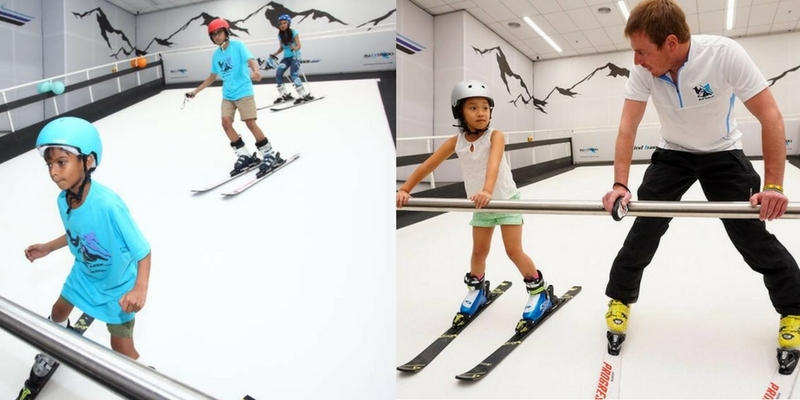 Here, KL-ites can learn to snowboard and ski on manmade slopes with instructors guiding throughout the journey. Catered both to seasoned skiiers as well as newbie and junior skiers, anyone can try out a session at First Traxx to see if they’re fit for the sport. “The slopes are sometimes referred to as an “Infinity slope” which works very much like a large treadmill moving a surface made of a synthetic turf-like material. The speed and working angle of the slope can be varied according to the customer’s ability. Additionally there is a support bar to assist as you build your confidence and a large mirror for you to watch yourself and perfect your technique,” the team at First Traxx mentioned on their official website. A session at First Traxx includes an instructor as well as equipment like boots and ski or snowboard helmets. All you’ll need to bring is a pair of long socks. Alternatively, you can choose to purchase a pair at the centre. Those who prefer private lessons can opt for solo sessions. 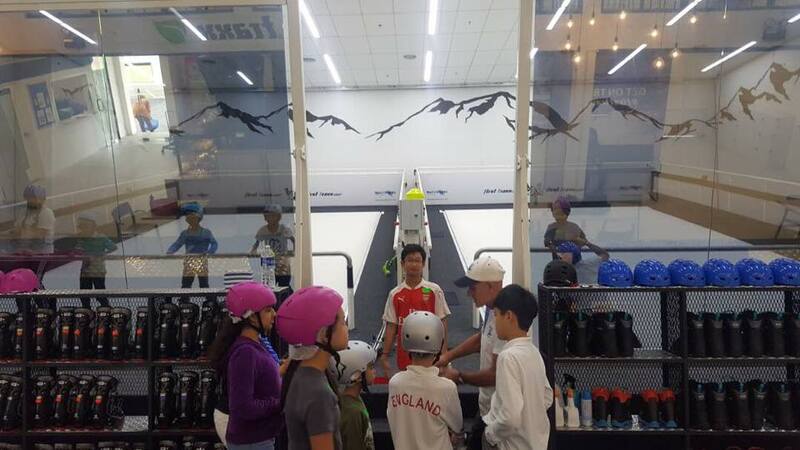 Prices for lessons at First Traxx currently varies between RM159-RM2900, depending on the preferred package. 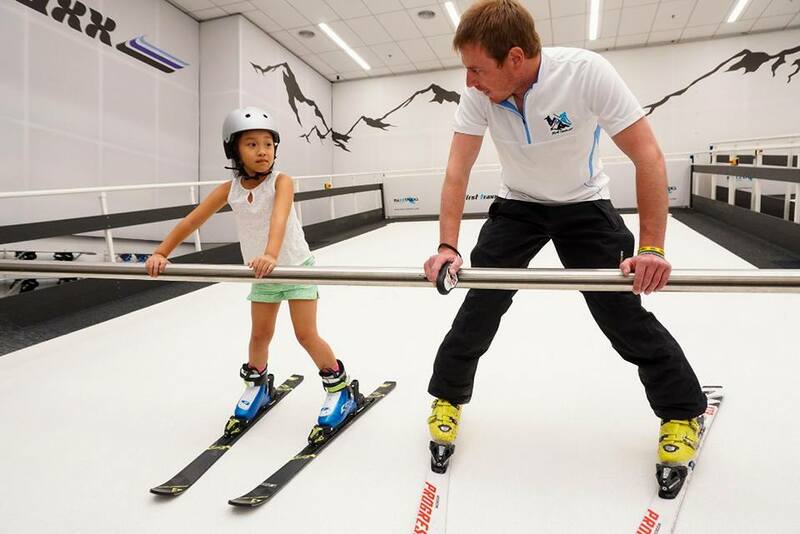 While First Traxx is not a substitute for skiing and snowboarding, it will definitely prepare one better in terms of technique and fitness for a better sense of enjoyment when they actually do hit the mountain. Besides private and group skiing/snowboarding sessions, you can opt to host a party or office team building session here as well!